See the smiles crafted by Dr. Brott and his exceptional team. 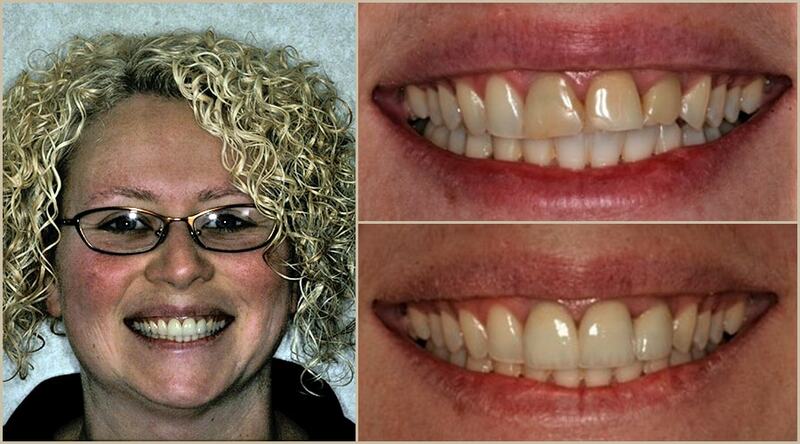 See our before and after gallery – full of astonishing smile makeovers. When I first met Sandy she would use her hand to cover her face whenever she smiled. 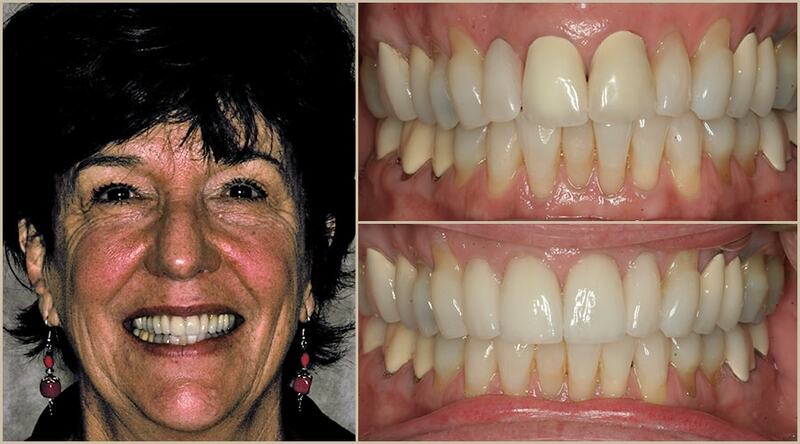 After restoring her smile with all ceramic crowns it took her a few months to drop the hand shielding habit, now whenever we see Sandy her smile is the first thing we notice…stunning! Alisa came to our practice afraid to smile because of the appearance of her front teeth. 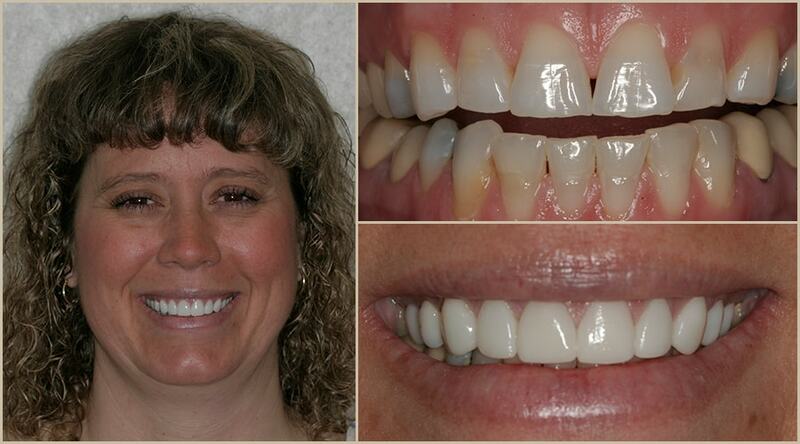 Restoring her smile with all ceramic crowns gave her the confidence to show off her beautiful smile and let her wonderful personality shine. Sharon came in complaining about the appearance of her “old yellow teeth” and the fact that her grandchildren kept commenting about them. 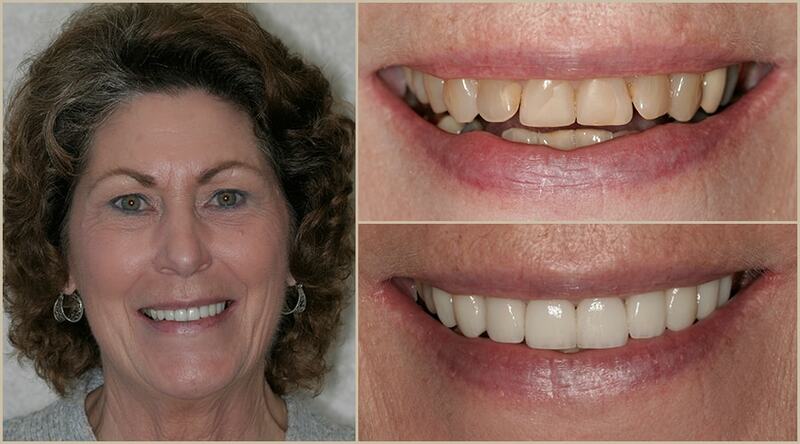 We placed eight porcelain veneers and she couldn’t wait to go see those grandkids! Diana told us she felt her teeth were “worn and aggressive looking” and that friends would ask her if she had a seed stuck between her front teeth. 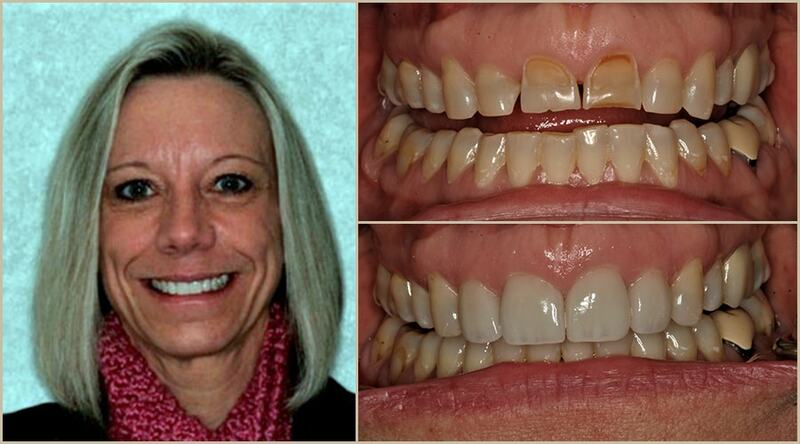 Ten veneers later her concerns were no longer an issue and she had the smile she had always dreamed about. 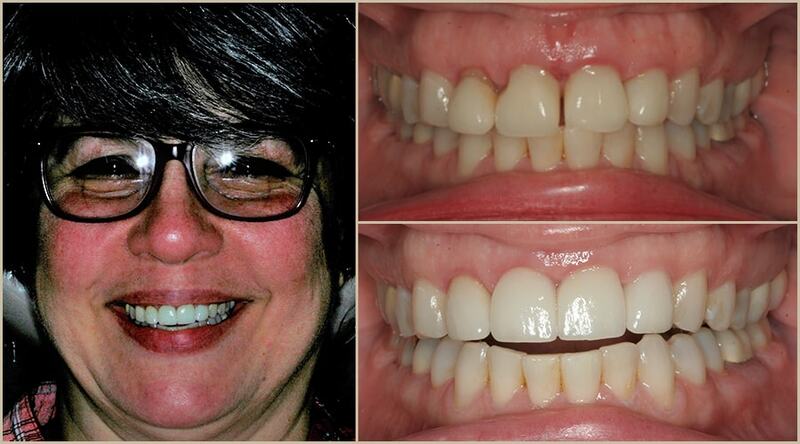 When Sherri was faced with losing one of her front teeth she saw this as an opportunity to update her smile. She was no longer happy with the appearance of her front two teeth and now has a matching set of all ceramic crowns to give her a beautiful smile. We love to get feedback from our patients so you have an opportunity to see what to expect from your leader in Grass Valley dentistry. Ready to Make Your Smile Shine? Feel great again with first-class dentistry from Dr. Brott.